Roof sarking is a pliable laminated membrane that forms a protective second skin under your roof. It can be installed when building a house, doing home extensions, a home renovation or roof restoration. It can be installed when building a house, doing home extensions, a home renovation or roof restoration. It is positioned under your roof during installation by the builder and is rolled out in sections either parallel or perpendicular to the eaves with an overlap between each layer. Roof sarking will protect the frame of your house from the weather during construction. When your home is completed, sarking will protect your roof cavity from storm driven rain and dust, improve it’s thermal performance, help it resist bush fire ember attack and reduce the risk of harmful condensation. Roof sacking improves thermal performance by shielding the home from up to 97% of radiant heat when combined with an air-space, helping to provide a more energy efficient and comfortable home. Information on Bradford and Knauf Earthwool is below. For further information or advice on a particular application, contact your nearest Consolidated Energy office. Bradford Building Foil is a superior strength polypropylene weave product with a high reflectivity ant-glare side for safe installation. With a pressure sensitive polymer adhesive AGI’s Building Folil reduceds weight while increasing edge tear resistance and tensile strength. Tested to Australian Standard 4200.1 and Australian Standard 4859.1 AGI’s Building Foils are Building Code of Australia. Polyair™ is a range of thermo reflective insulation products that reduce radiant heat gain in roofs and walls. The products can be used in a range of residential applications, commercial applications and in sheds. Polyair Performa XHD is a multi layered thermo reflective insulation and extra heavy duty sarking in one product. Its special antiglare coated foil reflects up to 95% of the sun’s radiant heat while the foam inner core and inward facing foil reduces heat transfer through the product. 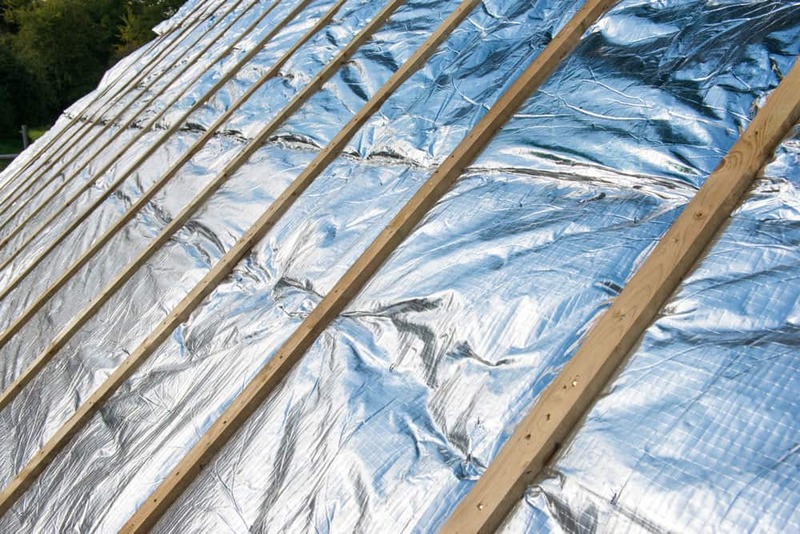 Bradford Thermofoil Medium Duty Foil is a tough medium duty facing for bulk insulation used in roofing and cladding of residential and commercial buildings. This foil is also used as an external facing for duct wrap applications in the air conditioning industry. Bradford Thermofoil Medium Duty Foil is a tough medium duty facing of bulk insulation used in roofing and cladding of residential and commercial building industry. This foil is also used as an external facing for duct wrap applications in the air conditioning industry.